Las Vegas is a 24-hours kind of place, especially when you are on the Strip. And to meet those needs, it seems like every major hotel has at least one restaurant that is open 24-hours a day. 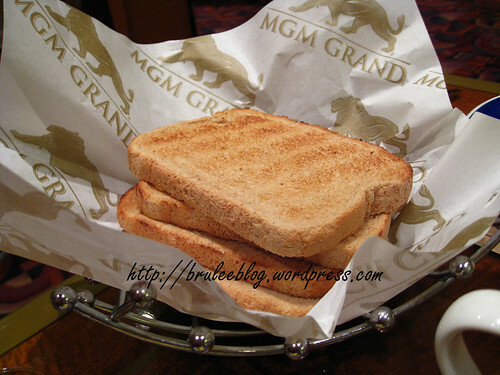 For the MGM Grand, that place is the Studio Café. We went here for breakfast one day and came away quite impressed. 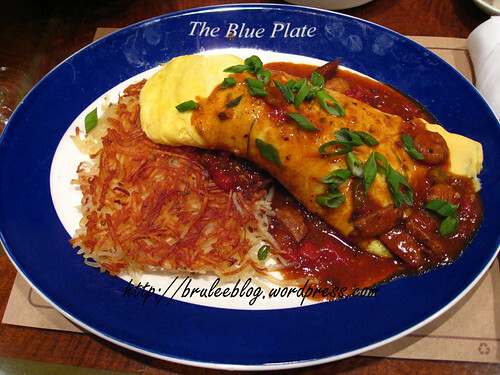 I was expecting the food to be more of the greasy spoon variety, but what we got was huge portions, tasty food and an interesting menu with a mix of basics and gourmet items. The toast was admittedly nothing special, but I decided to take a photo of it because of the paper. 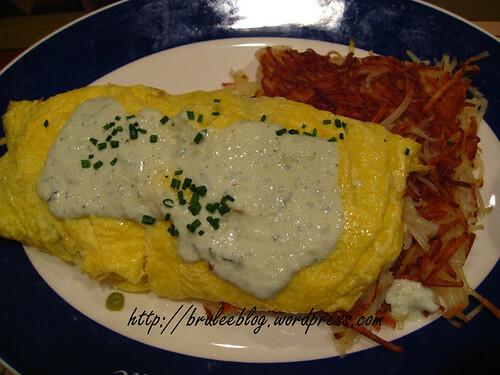 I was tempted to order one of the day’s specials – a lobster omelette – but instead chose one off their regular menu, the Ragin’ Cajun Omelette ($14.00 US). Filled with andouille sausage, green peppers, beans and a spicy shrimp gumbo, it started off my morning with a bit of a kick. On the side was a giant hash brown – just thick enough to give a good balance between the crispy outside and the soft potato inside. *Disclaimer: My meal here was discounted because of a comp. Saying that, the prices were relatively reasonable for a place on the Strip and I would have been happy to pay full price for this meal.